In need of air conditioner repair in Radley Kansas? Look no further than Barone's Heat & Air, LLC for all of your AC repair and maintenance needs. A broken air conditioning (AC) system on a hot day can make the most optimistic person view the glass as half empty. When you’re faced with this uncomfortable situation, don’t wait to call Barone's Heat & Air, LLC at (417) 232-0017 to get your home or office AC unit working properly, quickly and cost-effectively. For over 10 years, we’ve been diagnosing and repairing Radley AC units to quickly restore comfort families and office workers. The lifespan of your AC system depends on a number of factors. If your system was incorrectly sized for your home or commercial building space, it could be working harder than expected. This would reduce the lifespan of your unit. A unit that is not regularly cleaned and serviced is also likely to need major repairs prematurely. Under ideal conditions, the average lifespan of your central AC unit is 15 to 20 years according to the Department of Energy. Of course, Barone's Heat & Air, LLC can help extend the life of your Radley air conditioning with service and maintenance at regular intervals. Call (417) 232-0017 for an a/c inspection. Your AC unit often gives some unique signs when it’s in trouble. An AC system that puts out little cool air, leaks, or makes strange noises are indicators that you will need repairs soon. If you’ve noticed any of these signals with your AC unit, give Barone's Heat & Air, LLC a call at (417) 232-0017 to schedule an appointment to troubleshoot your system. Our Radley air conditioner repair technicians are experienced problem solvers who can fix your AC right the first time. 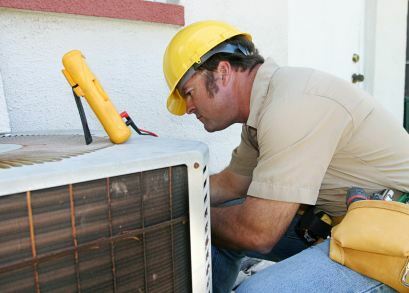 The average cost to repair an AC unit in Radley is over $300! That's an expensive, unexpected bill to pay when you’ve budgeted money for fun activities for your kids during the summer months. Since 2009, Barone's Heat & Air, LLC has been a trusted HVAC contractor that specializes in both routine and emergency AC repairs. While we’re always available to meet your Radley AC repair needs, we inform you about things that you can do regularly to avoid costly emergency a/c repair issues. The number one thing that you can do to reduce your need for emergency a/c repair work is to keep your system’s air filters cleaned. Dirty filters clog up your system and make it work harder. Over time, your AC unit will wear down and need premature repairs. The second step that you can do to avoid expensive emergency a/c repair work is to give us a call at (417) 232-0017 to schedule annual maintenance service for your system. Why Choose Barone's Heat & Air, LLC to Repair Your Radley Air Conditioning Unit? Prompt, Thorough Service: We offer same day service and can repair all makes and models of AC systems. We often carry the most frequently needed parts with us to our service calls, so our customers aren't waiting for days for a delivery before the air conditioner repair can even begin. Quick Diagnosis and Solutions: Our experienced Radley ac repair specialists can quickly and accurately diagnose your AC issues, get to the root of the problem and have your unit cooling you back down in no time! Whether you are hearing funny noises when the system switches on, sense that the system is not functioning at its fullest capacity or suspect a leak, call (417) 232-0017 and we can diagnose your problem and return you to comfort today. Efficient and Economical: We value your time and strive to make your home comfortably cool in a timely manner, without breaking the bank. Call Barone's Heat & Air, LLC today and find out why we're the area's preferred air conditioner repair company! Our air conditioner repair technicians are among the best ac repair contractors in Radley and can quickly and efficiently repair your residential or commercial AC unit, and all for a cool price!